Today on the podcast we have Keith Freier, COO at Pacific Northwest Laboratories about what drives him as a leader, his biggest area of improvement and key nuggets all leaders should know and utilize to increase their effectiveness. Keith shares a story from the movie, Remember the Titans, where Denzel Washington, the main actor in the movie, calls one of his players on the carpet for his attitude. The player then says, “With all due respect coach, attitude reflects leadership.” This resonated with Keith and represents his leadership style. He discusses the concept that leaders can’t have a bad day, and must be purposeful in maintain a positive mindset. 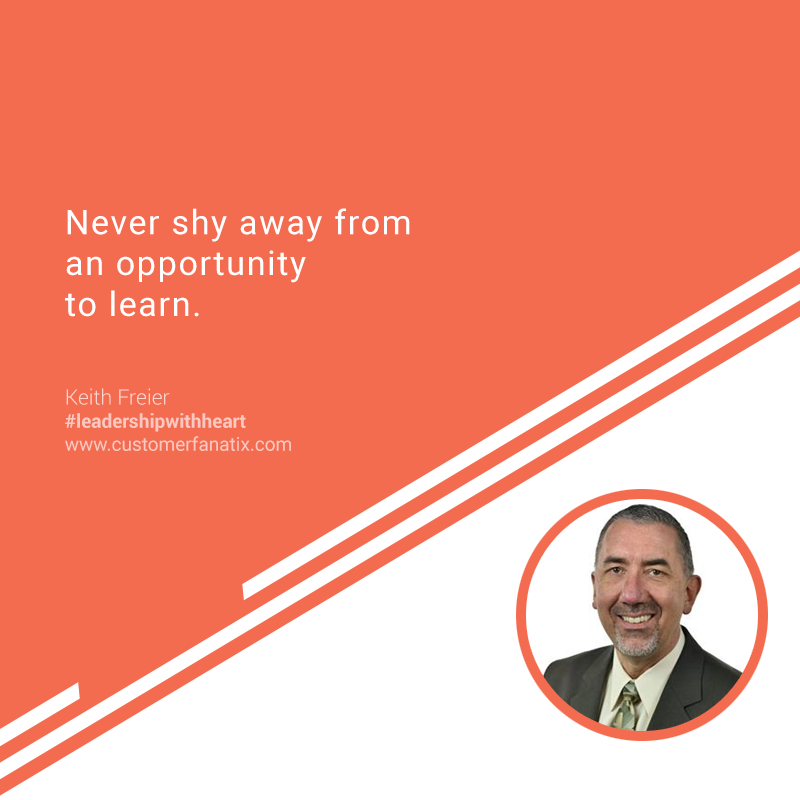 Another key nugget is that leaders should look to not just one mentor, but a “personal board of directors.” Keith shares with the listeners how to do this and why its important. To reconnect with his team, Keith focuses on introducing humor into the workplace and making sure to make time to spend time with his people. He sees the main role of a leader if to pave the way and then get out of the way and let his people do great work, while also enforcing that he is there to remove obstacles and support them. You don’t want to miss this very open discussion about the struggle of leaders to strike the balance between transparency and confident communication. Click that play button to listen! Keith Freier is Director of the Operational Systems & Technology (OST) Division within the National Security Directorate at Pacific Northwest National Laboratory. Keith also serves as the acting Chief Operating Officer (COO) for National Security. The OST Division specializes in operationalizing science and technology through the integration of technology, policy, and field operations to deliver mission critical solutions to complex global security challenges using a systems approach. Division capabilities include expertise in technology development and integration, scalable engineering, operational sustainment and resiliency, legal and policy analysis, testing and evaluation of complex systems, critical infrastructure and asset security, capacity building, and disciplined project management, with demonstrated success in over 100 countries worldwide. In addition to his Division Director role, Keith is also the founder, senior advisor, and lead instructor for PNNL’s Project Manager Development Program (PMDP), a two-year leadership and staff development program designed to develop the next-generation of successful project managers at the Laboratory. Keith has been with PNNL since 1992 and has served in a variety of roles and capacities including Director of the Global Security Implementation Project Management Office (PMO), Interim NNSA Sector Manager, and Technical Group Manager. Additionally, he has managed a variety of large projects and programs including the NNSA Global Threat Reduction Initiative (GTRI), Tank Waste Remediation System (TWRS) Program, construction of the Environmental Molecular Science Laboratory (EMSL), the Navy Napalm Removal Project, International Nuclear Security Program (INSP), and the Material Protection, Control, and Accountability (MPC&A) Program. Before joining PNNL, Keith worked for a worldwide engineering and construction firm involved in environmental restoration and the construction of industrial and nuclear facilities. The challenge really is getting to know the individual. My philosophy in leadership is all about influence, and to have that influence, you have to have trust. That’s something that’s earned; it’s not given. People like to know that you have their best interests in mind, whether you are the subject matter expert and can speak intelligently at a technical level, but all in all, they need to understand that you care and that you have their best interest in mind. There’s a scene in that movie that has just always resonated with me and something that really drives me in my day-to-day. For your listeners who might not be familiar with the movie, there was a scene where Denzel Washington was the head coach of this high school football team in the early ‘70s in a community in Virginia where the school board decided to integrate an all- black high school with an all-white school. The movie was about the struggles and issues about integrating the schools, and it was really centered on this high school football team. That’s just had an impact on me. Your staff are watching every move you make, and if you’re not portraying that positive leadership, how do you expect your team to do the same? That’s something that has always resonated very solidly with me. I’ve had that quote on my wall in my office for a number of years, but it’s something that really resonates with me. When I look back on my career, it’s really been based on a strong work ethic. My grandfather immigrated from Russia when he was 16 years old with not a dollar in his pocket and started a homestead in a very remote area of northern Montana. The guy was strong; he didn’t shy away from work, and I guess that’s just part of my DNA. I’m really that roll-up-the-sleeves kind of guy; I never ask others to do something that I wouldn’t be willing to do myself. I think that’s something that has gained the respect of my team. They recognize that I’m not going to ask them something I wouldn’t be willing to do myself.